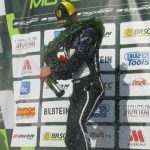 Ben Tuck dominates Croft with maiden win, 2nd place & lap record! 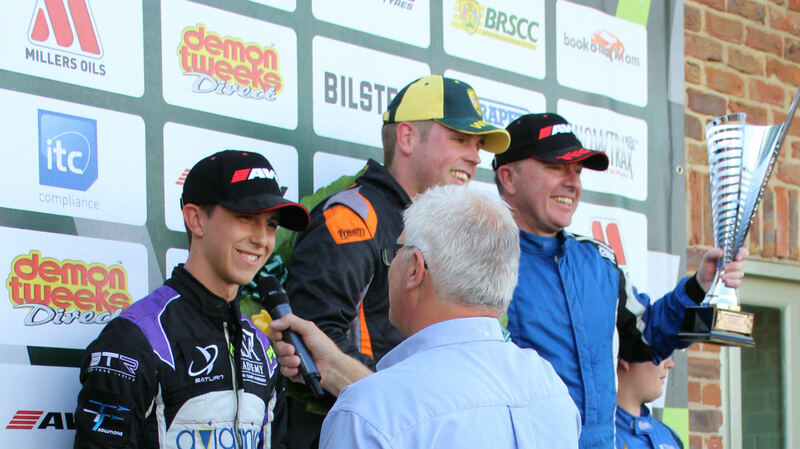 Fresh from his maiden podium at Oulton Park last month, Ben Tuck carried forward the momentum in emphatic style by dominating the latest round of the Caterham Supersport Championship at Croft in Yorkshire last weekend with a win, a 2nd place, fastest lap in each race and the Caterham Supersport lap record. Coming out of a challenging first half of the season, last month at Oulton Park Ben took a 6th and a 2nd place in two of the most exciting races ever seen in Caterham racing, where he was able to show the sort of performance that’s been hinted at since the his front row qualifying slot in his first ever Caterham race back in April. And last weekend at Croft he went one better. After a nail biting qualifying session, Ben was just pipped to pole by the eventual title champion by 0.19s. After qualifying Ben was happy with the car. “[The car has] been strong all through testing and we were quickest in most sessions in practice. We’ve barely changed anything apart from a broken suspension part so I’m confident that we have the pace today”. At the start of Race 1, Ben comfortably slotted in behind the leader as the top 4 quickly broke away. After 7 laps Ben made a move into the lead, holding it until lap 11 after which the top pair constantly swapped positions in a superb display of close combat fighting only inches apart. By the final tour, Ben was pushing the leader on as the top 3 lead the field by 10 seconds, taking the flag a very close second and the Supersport lap record along with it. Race 2 beckoned late on the following day as the weather continued to be fine and dry. Ben remained confident and determined to become one of the small group of Supersport race winners this season. Lining up on the grid again in second place, Ben felt he had every chance of achieving that. As they got away he calmly followed the leader through the first set of corners until a smooth and confident move at the end of the back straight saw him take the lead. For the remainder of the race Ben calmly put in metronomic laps consistent to 0.25 of a second with times that not even the championship leader could match. In clear air without the benefit of the ‘tow’ from another car in front, Ben stretched his lead until he was over 6 seconds clear. 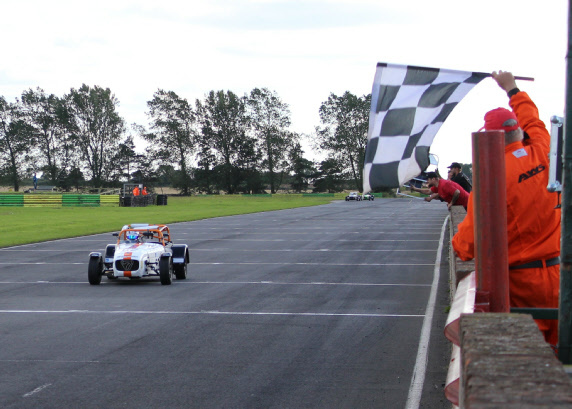 As he took the chequered flag for his maiden win in only his 6th Caterham race weekend, Ben was half the length of the start/finish straight clear of the field. Such a race winning margin is unusual in Caterham racing and underlines Ben’s dominance of the weekend. “It was probably the best performance of my career so far” he said. “I knew we’ve had the pace to win and I set out to prove it. I concentrated on putting in clean precise laps in every single time and zoned out everything else. So far this season I’ve had to fight hard for every place at every corner. This time it was a challenge to myself to be accurate and calm and show that I deserve the win, and that’s what I did. It’s important for a driver to be as quick leading a race as he is chasing”. Daniel Pedreschi from Park Plaza Hotels and Resorts was equally happy about the result “Now that’s what I call the start of a great relationship” he exclaimed after the race. The result takes Ben to 8th in the Championship, a remarkable achievement after the many issues he suffered earlier in the season.